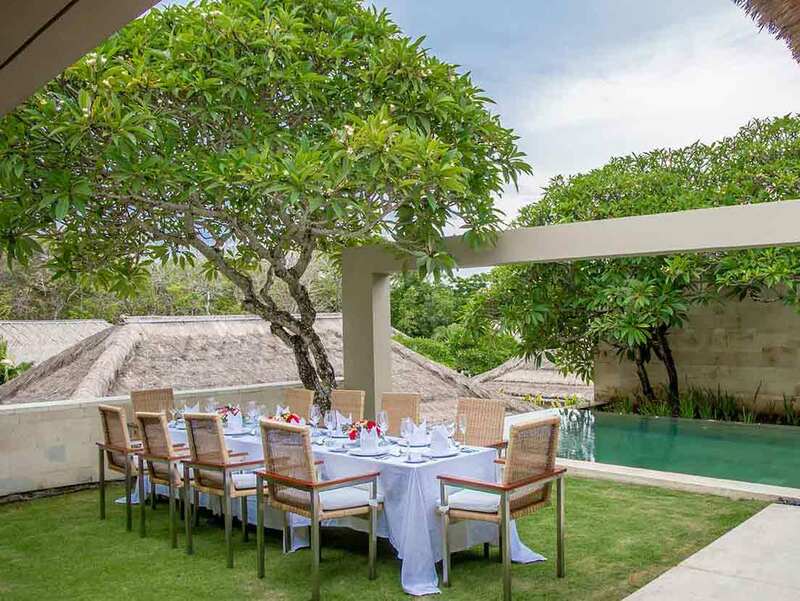 The Balé Nusa Dua is a serene, luxurious couples retreat - your own tropical paradise where you can truly relax and reconnect with your loved one. This most magical and private Nusa Dua resort has 29 immaculately designed modernist pavilions, each with a tranquil private garden and pool. Our ‘no children’ policy makes the resort ideal for honeymooners and newlyweds and you will be waited on hand and foot by our superbly trained staff Family, including your personal 24hr butlers. Indulge in our sublime Spa, dine together by candlelight under the stars, hang out at our exclusive Beach Club, or curl up with your partner behind closed doors in your private pavilion. 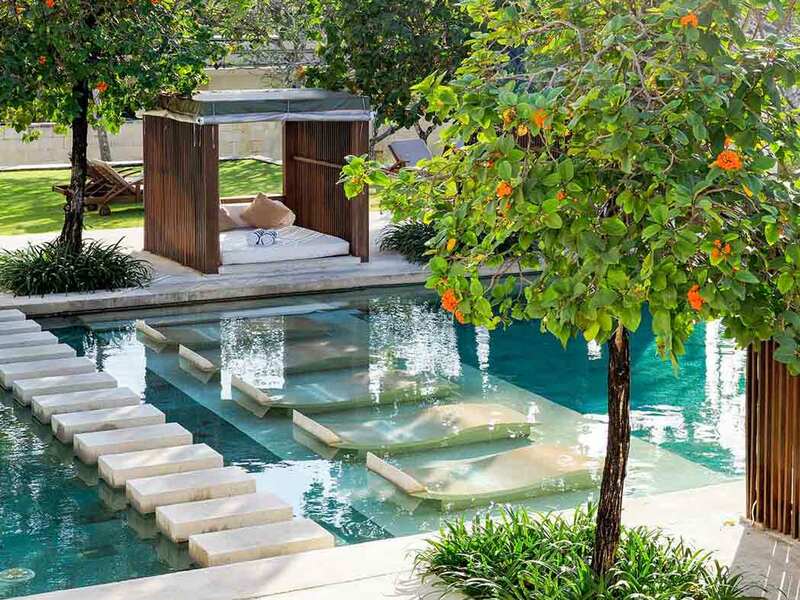 The Balé Nusa Dua is the ultimate romantic, luxury retreat in Bali. Book The Bale directly through our website & save an additional 10% off from Best Available Price. 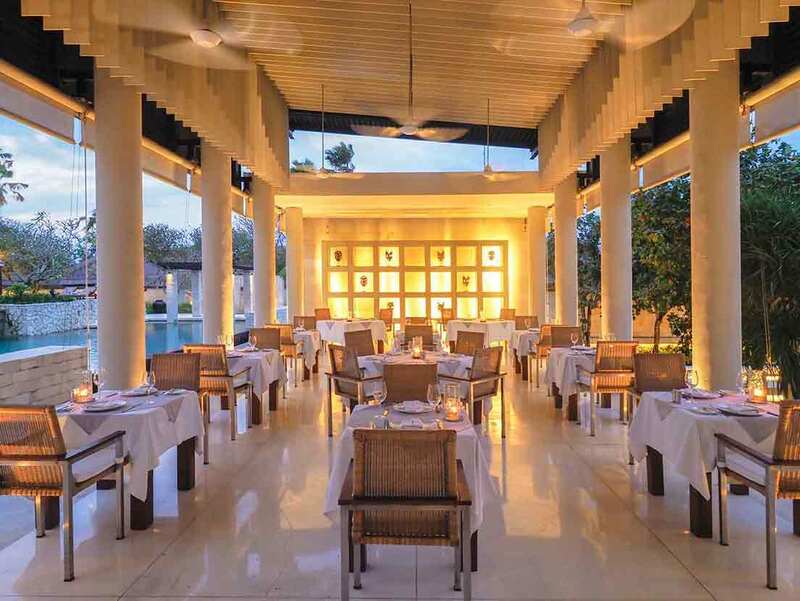 Savour some of the finest Modern Asian cuisine, innovative East-meets-West tapas, one of the most comprehensive wine and spirit cellars in Bali, cooking classes and a dedicated spa food menu to soothe body and soul. Whether you want to take it slow and get pampered with healing treatments in our sublime Spa, and lounge the days away poolside, in your pavilion garden or at our exclusive Beach Club, or you want to get active, hit the gym and maybe explore Bali's culture, The Balé Nusa Dua experience can make it all happen. The Balé Nusa Dua is the perfect luxury resort for an intimate wedding or romantic honeymoon, or both. Imagine marrying under a fragrant frangipani tree next to an azure pool in your own private pavilion compound with your dearest family and friends. The Spa's wide range of Balinese treatments include Crystal Healing Hot Stone therapy to help energy flow, and Anma Traditional Japanese massage to balance and detoxify the body. Indulge in yoga, meditation, heart chakra healing, detoxes and more, and enjoy a light, super-healthy meal at our spa restaurant Bliss.